Dinner is served! 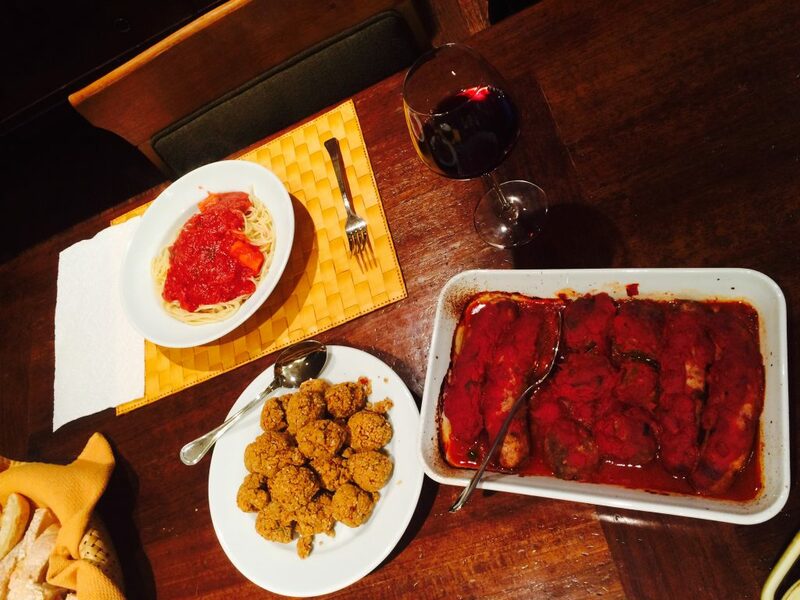 Spaghetti with meatballs two ways: vegan and regular. Italian sausage was baked in the oven with the regular meatballs.